272 pages | 9 B/W Illus. Why did the funding of the British health system develop in the way it did? What were the ramifications of these arrangements for the nature and extent of health care before the NHS? The book also goes on to explore the 'lessons' and legacies of the past which bear upon developments under the NHS. 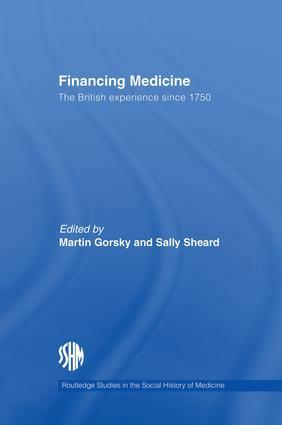 The contributors to this volume provide a sustained and detailed examination of the model of health care which preceded the NHS - an organization whose distinctive features hold such fascination for the scholars of health systems - and their insights illuminate current debates on the future of the NHS. For students and scholars of the history of medicine, this will prove essential reading.